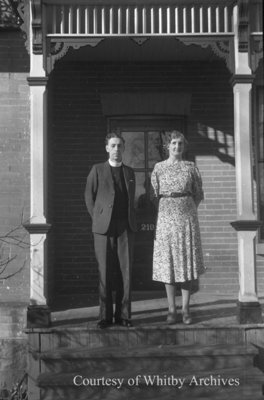 A black and white negative of Reverend David Marshall and his wife Helen (Nellie) on the front porch of St. Andrew's Presbyterian Manse. Reverend and Mrs. Marshall, November 14, 1939, Marjorie Ruddy. Whitby Archives A2013_040_687A.